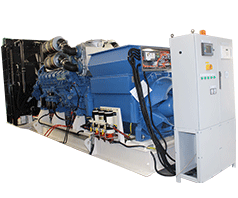 AJ Power have supplied 8 x 2000kW, 1800RPM generating sets for a Power Plant. 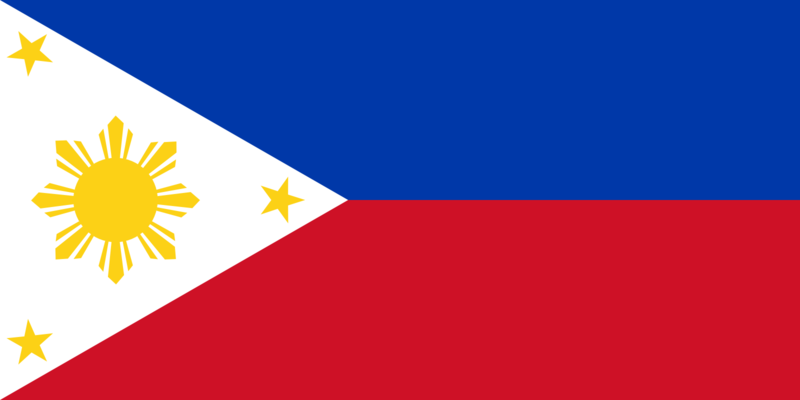 A major electric provider in the Philippines was experiencing 4-6 hour power cuts daily, as they struggled to meet consumer demands. 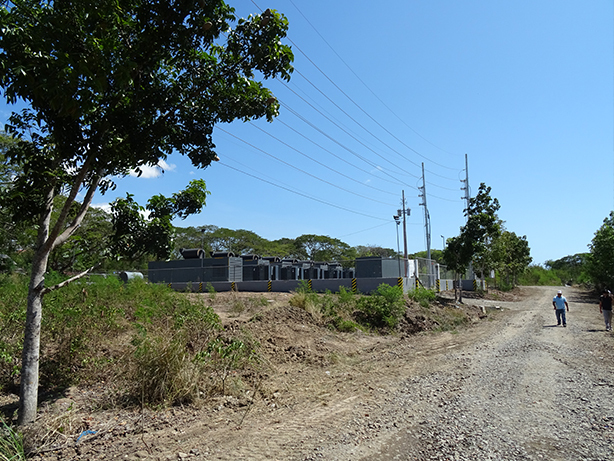 The electric company owned a substation consisting of 2 x 20MW transformers, however even these were being overloaded. To avoid damage to the transformers, the electric company was forced into power curtailments during peak times and lots of unhappy customers. This led to the recommendation to purchase 16MW land based generating sets to produce additional power. The 16MW diesel powered peaking power plant was to have two main functions. 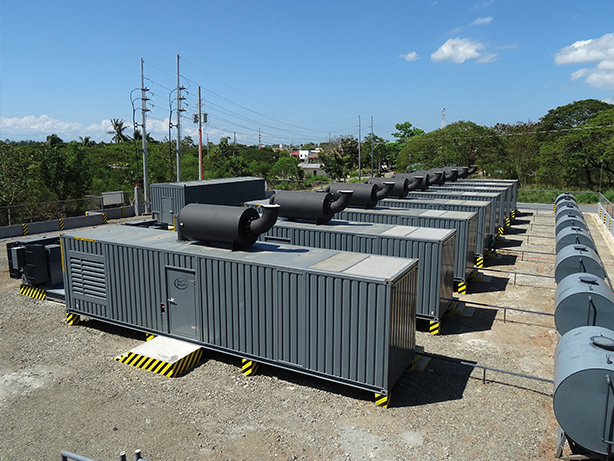 First, to support the mains grid transformers each day in long term parallel mode, during the peak hours, when the 20MW transformers were overloaded. Second, to operate in island mode if any one of the two transformers were to be taken out for repair or maintenance. 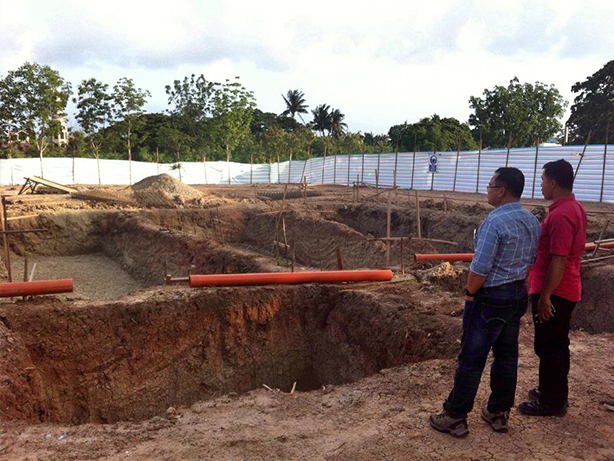 In this instance the 16MW diesel power plant would then supply that area. 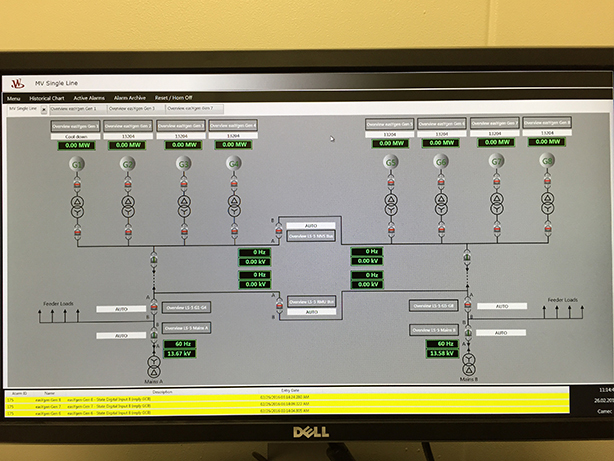 The customer also requested a SCADA industrial PC system where they could monitor and control the entire system from one location. 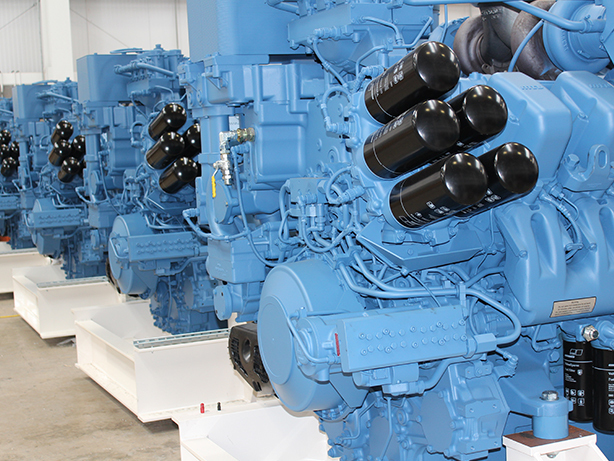 The AJ Power engineering department worked closely with CAMEC to develop a solution to meet the customer requirements. It was decided that the MTU 16V4000G83 engine, manufactured in Germany, would be used. 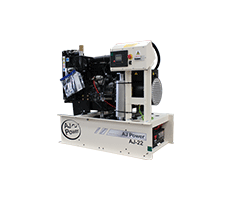 The alternator used was a MeccAlte 480V, 60Hz model, manufactured in United Kingdom. They were supplied with an electric driven cooling radiator, also manufactured in the United Kingdom and fitted with an Insight6000 synchronising control panel and LS5 breaker controllers. 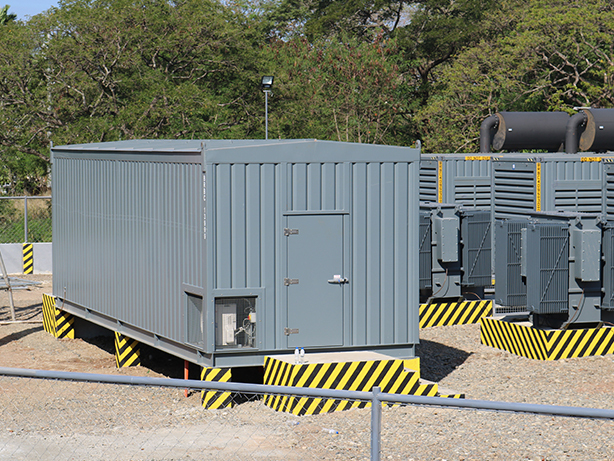 Each generating set was supplied in an ISO custom built 40 foot hi cube container with a sound noise level of 85dBA@7m and roof mounted silencer. 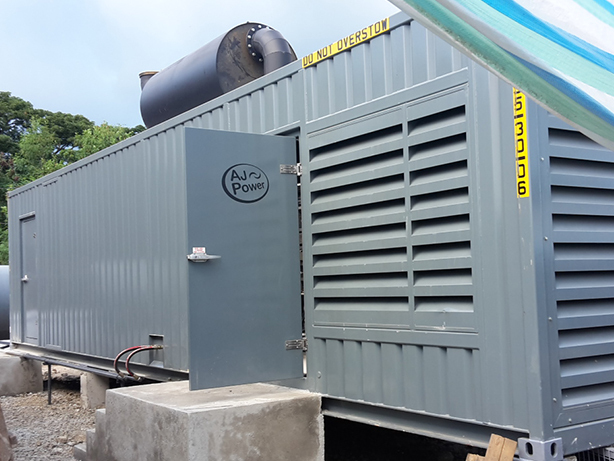 AJ Power also supplied a 13.8kV switchgear container. 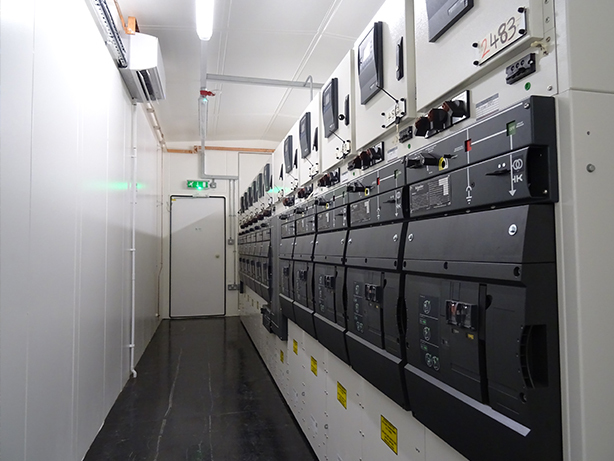 This air conditioned container is home to a common master control room where a SCADA Industrial PC Control System, also supplied by AJ Power, allows complete control and monitoring of all eight control panels and LS5 breaker controllers. During peak times the customer can start the required number of generating sets from the SCADA Industrial PC Control System. 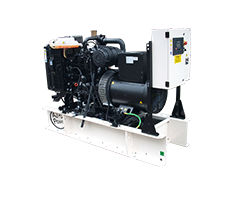 They can synchronise them with the mains transformer and set the ‘Export kW setpoint level’ on each of the generating sets to the power they require them to produce and avoid power curtailments. The SCADA Industrial PC Control System monitors the fuel economy of the generating sets. 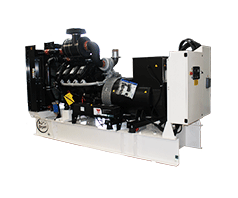 The customer can then decide whether to run two generating sets at a lower power, or one single unit. 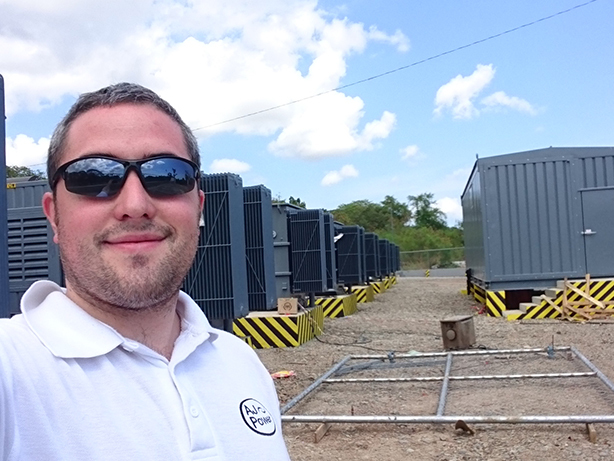 In the case where one of the mains transformers needs to be taken offline for repair or maintenance, the customer can start all 8 generating sets, synchronise them together and cover the load of this transformer for the required amount of time. As part of the contract AJ Power hosted the utility customers for one week. During this time we undertook extensive testing of the generating sets. It was also an opportunity for the customers to see some of the attractions of Northern Ireland, including the Giant’s Causeway and various Game of Thrones filming locations. 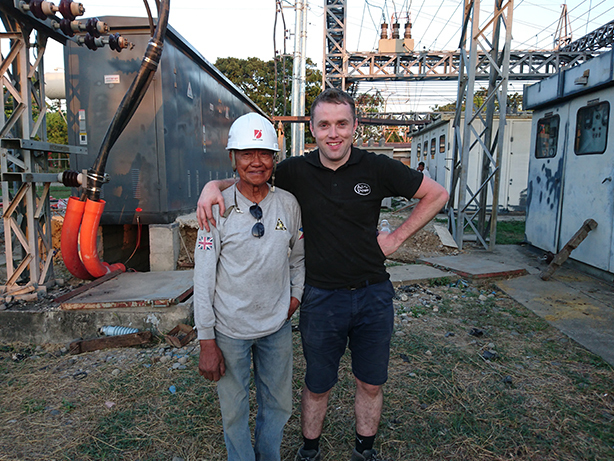 AJ Power Senior Electrical Engineer Eugene Devlin visited the site in the Philippines on two separate visits, to help with installation. On his last trip in March 2016, he conducted commissioning alongside Electrical and Electronic Engineer, Patrick Cunningham. AJ Power are proud to have worked along with our local distributor on such a prestigious project. The site was commissioned in Spring 2016.